Hide deals from seller "C&H Auto Repair"
Limit 1 per person. Valid toward parts and labor. By appointment only. Free estimate included. Full value of Gift Certificate must be redeemed in 1 visit. 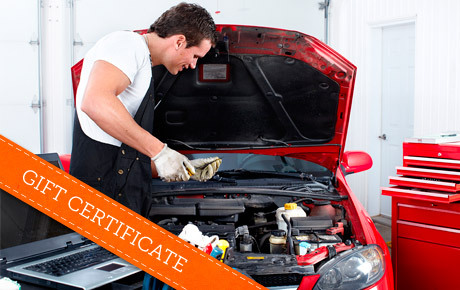 Get trustworthy service with 50% off a $50 Gift Certificate to C&H Auto Repair in Des Plaines. This full-service auto repair and maintenance center offers all the services you need to keep your car running like new. The experienced mechanics at C&H Auto Repair are prepared to exceed your expectations with their high-quality services, exceptional customer service and reasonable prices. They pride themselves on performing services correctly the first time, allowing you to get back to your routine. They provide services for most domestic and imported models, and they offer everything from standard oil changes and safety inspections to transmission repairs. Soup up your sedan with this excellent deal. Full-service auto repair center in Des Plaines offering high-quality repairs and preventive maintenance.